What are the top three major achievements of YEP? What are the 3 biggest lessons you learned individually because you have been serving as leaders? What are the toughest challenges YEP faces? What lessons would you like to share with other similar professional groups? What the future holds for YEP? Where do you see YEP in the next five years? Are there some ongoing or upcoming projects you’re engaged with right now that you would like to share with our viewers? These young dynamic leaders have a lot to offer. I encourage you to watch their interview. Reach out to them if you may have any feedback or question. And of course, if you’re in the DC metro area, join YEP, be with like-minded people to grow personally and professionally. If you’re in Ethiopia, no worries, you can be part of the initiative they recently introduced in Addis. To learn more about Pick Yourself Up and watch archive interviews, check out its website. Everyone is greatness material. We all are endowed with unlimited potential. Greatness is chained within us waiting to be unleashed. Unfortunately, in every generation, very few unchain their greatness. The overwhelming majority fails to attain any level of greatness at all. 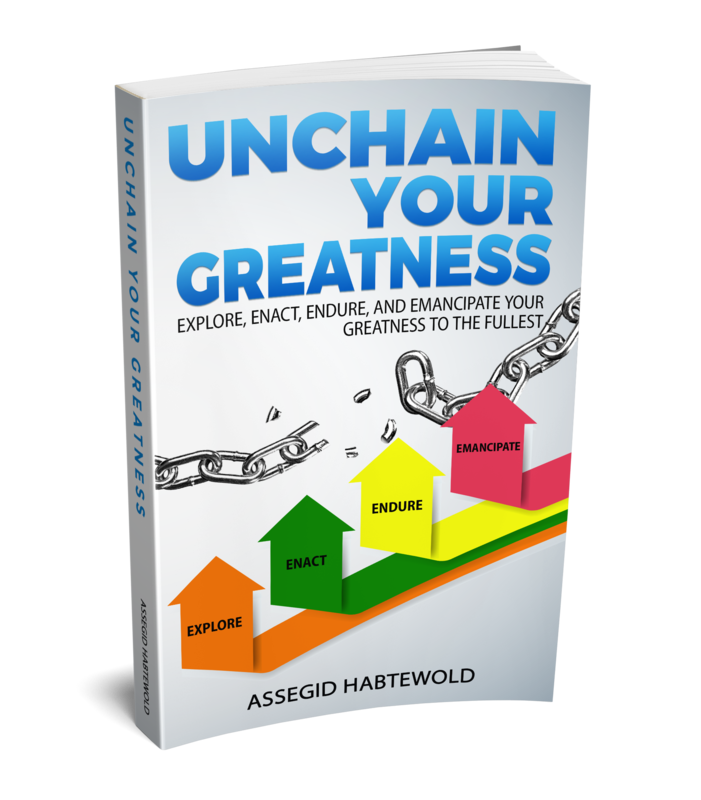 In ‘Unchain Your Greatness’, the author recognized the four stages the great ones from diverse cultures and generations passed through to achieve their inherent greatness. Those who unchained their greatness were like everyone else except that they followed four straightforward steps (the 4 E’s). They Explored, Enacted, Endured, and Emancipated their greatness to the fullest. The great ones explored and discovered what predisposed them to manifest greatness. They took bold actions based on their findings. Those who attained greatness also faced numerous obstacles as a result of taking massive actions and pursuing the road to greatness. However, they endured, outlasted continual setbacks, emptied themselves, and ultimately emancipated the greatness shackled within and left enduring legacies. 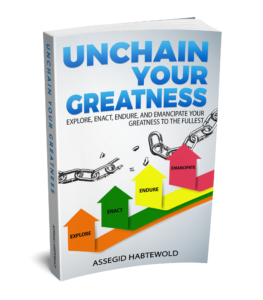 On top of providing the model the great ones adopted to unchain their greatness to the fullest, the book narrates the stories of great men and women from different religions, age-groups, and fields to show you the attitude and mindset they had as they progressed through these four simple phases. It also shares with you what the great ones discovered, the actions they took, the challenges they overcame, and the legacies they left because they unchained their greatness to the fullest. Dr. Assegid Habtewold is a coach, speaker, and facilitator at Success Pathways, LLC. He is also the host of ‘Pick Yourself Up’ show that airs on Channel 16. Assegid serves diverse clients including some government agencies, major corporations, and community organizations. He is the author of four books. His latest book is entitled ‘The Highest Level of Greatness: purpose-oriented, vision-centered, and values-driven greatness’. Interview with Councilman Jarrett Smith. He answered these questions: Why you dedicate your life to service, what is your highest core value, what are you doing to help immigrants find funding to establish their business, get affordable house, and government jobs, are their initiatives to empower the economic Potential of immigrants, are there some efforts to create coordination between stakeholders, and more. Interview with Dr. Gabe Hamda, CEO of ICATT Consulting. Talked about his personal and business philosophies, what helped him to succeed as an immigrant student and a business owner, how he views and handles setbacks and more. Interview with Reemberto Rodriguez, the Silver Spring Regional Area Director. We talked about the services available to immigrants in Montgomery County, advisory groups, sister cities: El Salvador, Ethiopia, India, China, and Korea, and more. In this interview, Celia Rivas, Coordinator of Immigration Legal Services of Catholic Charities (CC) explains the many ways the organization support the immigrant community. Some of the questions she addressed include but not limited to: How CC inspires hope and build future (its motto), some of the civic and immigration legal services CC provides, about CC’s Know Your Rights workshops, CC’s employment and adult education services, and more. 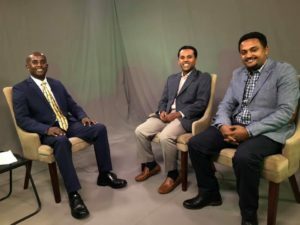 The second episode of Pick Yourself Up show: Interview with Co-founder of Blessed Coffee and US-Africa Diaspora Business Council Tebabu Assefa. In this interview, he answered questions such as what drives him, his experience in arranging a Congressional hearing, his take on the Sh*tholes saga, and more. Pick Yourself Up is a NEW show here on Channel 16. The show is hosted by Dr. Assegid Habtewold, a Montgomery County resident who is originally from Ethiopia. Pick Youself Up is designed to inspire, inform and equip immigrants, job seeker and those who are experiencing continual setbacks in their personal life, relationships, profession and/or business. 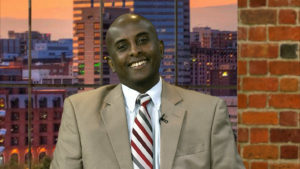 To find out more about Pick Yourself Up or Dr. Habtewold go to www.mmctv.org/programs/pick-yourself-up/. Come back again tomorrow to see who will be his first guest. Pick Yourself Up will be new on Tuesday’s at 8:00pm starting tomorrow night. You can find out other air times on the schedule page at www.mmctv.org.